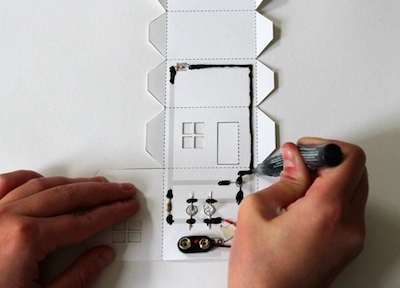 The two house kit is available on Maker Shed’s site. 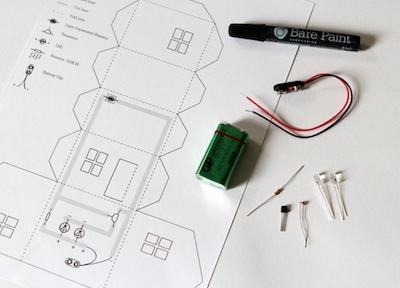 If you want to see what you will be doing with the kit before buying, here is the Bare Conductive Kit Instructions Page. 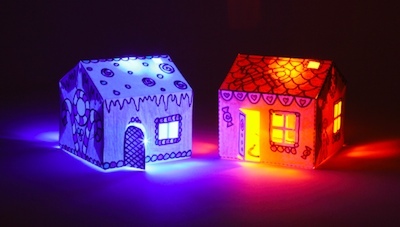 This evening, we pulled apart one of our houses and are playing with putting the lights inside of one of the Gingerbread Men we built from our previous Cube print and fold craft post. 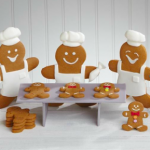 There is Gingerbread fun that doesn’t require an oven or anything editable. Yet, is still fun for the whole family or even around the office. 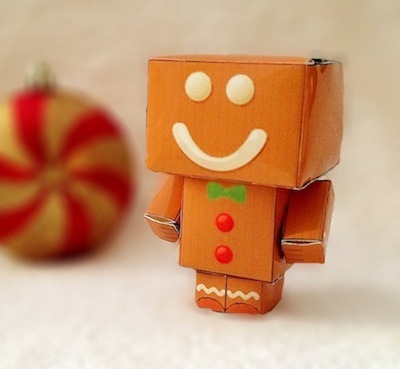 As you can see above, the cute little Gingerbread fellow is actually paper cubes. 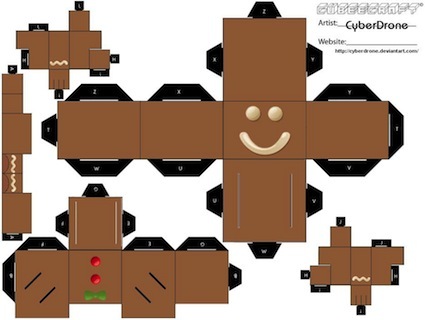 We found a site that has designs for two different Gingerbread men as well colorful packages. Just download the PDF and print to your local printer. We found the less expensive photo paper worked best for color and folding. Cutting is best done with a knife since the tabs interlock. Scissors can be used around the outer edge though so kids can do that part. Folding and assembly can be enjoyed by the whole family. For work, more precision can used with the knife and scoring lines prior to folding if the finished cubes will be on view of clients. This is a image of the artwork you can download. Don’t use the image as it is too low of resolution, go to the site to download the better PDF. 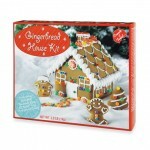 Michaels Craft store has their Gingerbread kits all on sale!! Hurry and get yours while they last. 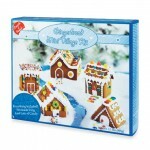 You will find the pre-made Gingerbread House kits plus lots and lots of Gingerbread Tree and Gingerbread Goodies. 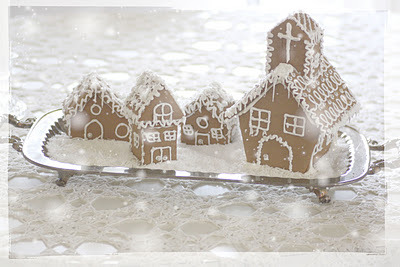 Christmas will be here in just a couple weeks so hurry and get your Gingerbread Houses made!! Details Here. 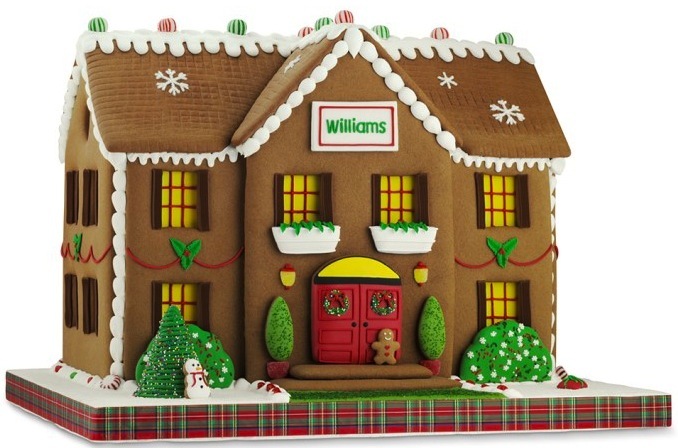 Exclusive this year from William – Sonoma is this Gingerbread Estate that is an edible architectural wonder. Meticulously built and decorated by hand so that no two are quite alike, the all-natural gingerbread structure is bedecked with peppermint balls. 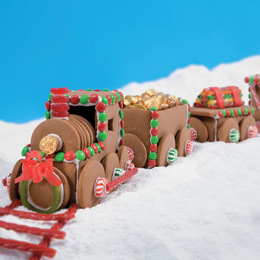 Made with all-natural, traditional gingerbread. 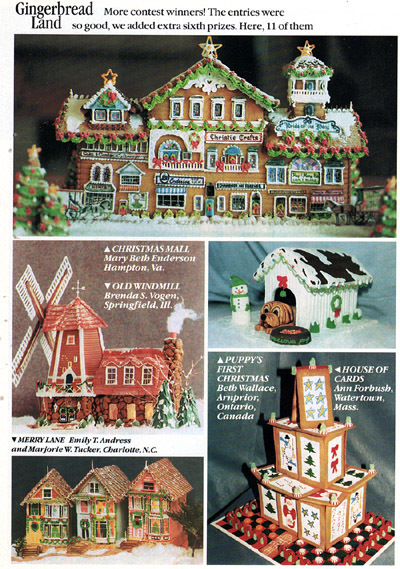 Delightfully surprising details, including royal-icing window shutters and entryway lanterns. Can be personalized with a name or message up to eight characters. 25 3/4″ x 20″ x 18 1/2″ high. 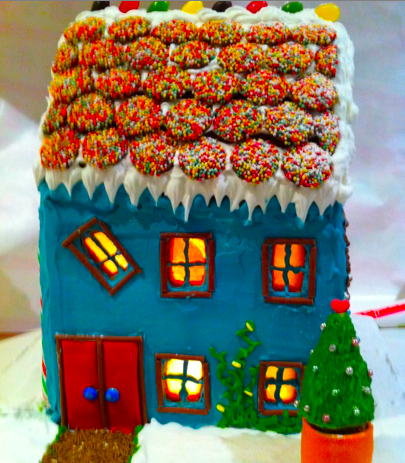 Here is a great EZ build Gingerbread House project for you and your family. The 6-step kit that contains all you will need to create your candy and cookie centerpiece. 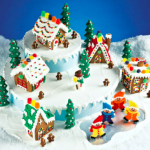 The “EZ Build” tray and bag of premade icing (which will be your ‘glue’) make constructing your candy holiday home a snap. Also included in your kit are colorful candies for decorating. These kits do sell out so hurry and get yours while they last. Kits are available at Bed Bath & Beyond. 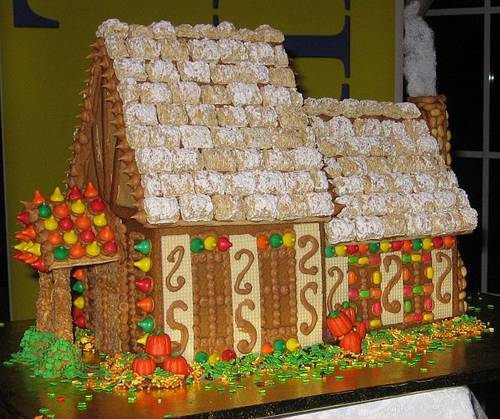 Surprise your family and guests with this stunning Thanksgiving themed Gingerbread House. Decorating with harvest and seasonal decorations like pumpkins, squashes, turkeys, pilgrims, red and yellow colors. 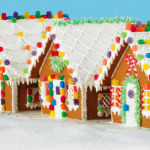 Here is a nice video to guide you through ‘putting a Gingerbread House together’. Wishing you all a happy and safe holiday!! For a fast, simple, and stunning Gingerbread House all you need is a pre-baked store bought kit, silver dragees, white icing, shredded coconut, and some sparkly white sanding sugar. Place the finished houe on a gorgeous silver tray to be admired through the season.